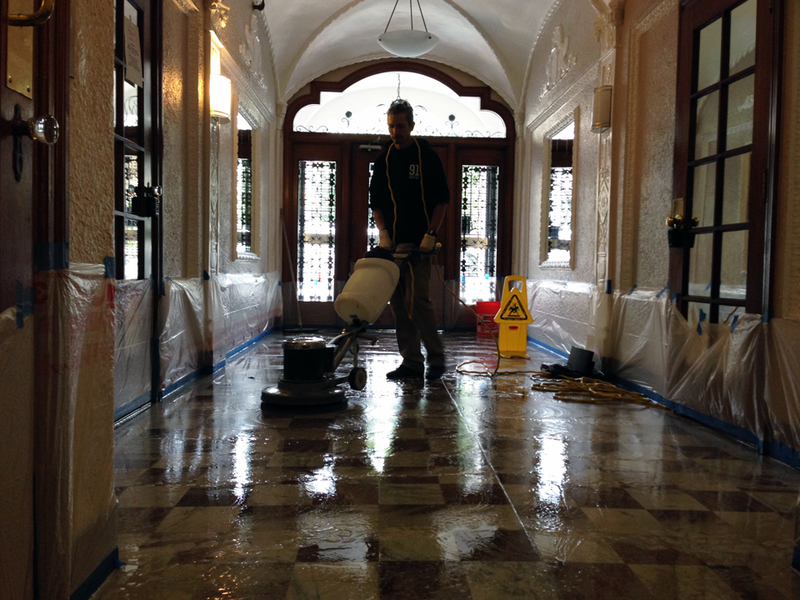 Stone Improvement offers Marble, limestone, concrete and travertine polishing services. This process removes etching or “water marks”, light scratching, and surface stains from the natural stone. 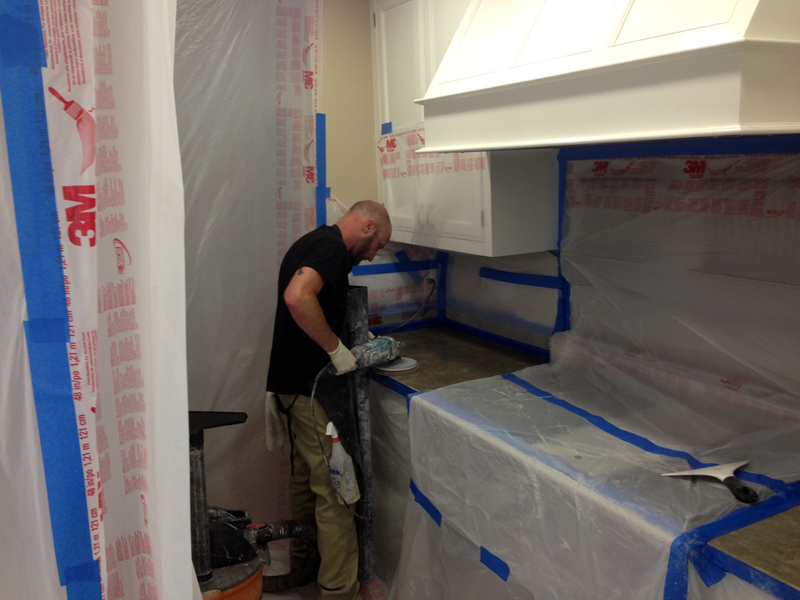 The polishing process can restore floors, counter tops, shower stalls, walls, lobbies, decks, and more. The marble polishing service starts with laying drop cloths down anywhere in the home we will be walking or working. Boot covers are worn when walking anywhere else in the home. Marble polishing is a wet process which creates slurry so we mask off any areas that might get damaged from the stone slurry. We only use the highest quality masking tape and supplies to ensure no damage is caused during the service. Floor machines and/or hand grinders with diamond embedded pads are used for this service. We go over the areas, step by step, honing and then polishing the areas until they are returned to the desired sheen. There are 4 different grit levels we can use. We always start off with the first grit level which is the step that removes the scratches, etch marks, or surface stains. The first step will leave the marble honed or matte finish. 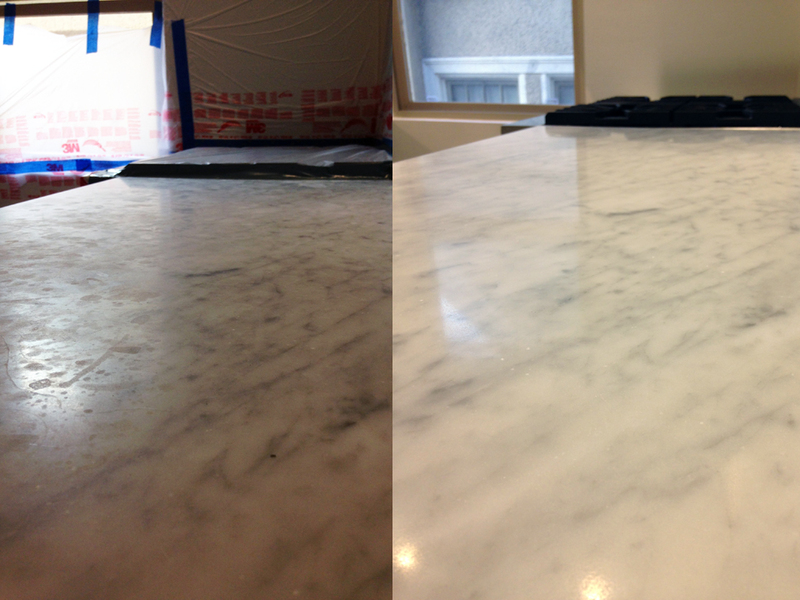 Each grit level we move up will make the marble shinier or more polished. When we reach the desired sheen we break down our equipment and let the areas completely dry before sealing.